Meetup has joined forces with WeWork to make it easier than ever to host great Meetups. WeWork is a company that offers amazing spaces and believes in the power of community. They are making their vibrant, thoughtfully-designed spaces available for free for select Meetups. You don't have to be a WeWork member to get in on these fresh venues — but after you use them, you just might want to be. Learn more about WeWork. Thousands of organizers have already hosted Meetups at WeWork. There are more than 170 participating WeWork buildings in over 50 cities around the world making space available to Meetups. Spaces are limited each month. 3. Browse beautiful WeWork spaces based on your schedule and desired amenities like projectors, whiteboards, and WiFi. 4. Reserve a space and get connected with a WeWork Community Manager, who will help finalize the details of your Meetup. 5. Schedule your Meetup. Show up with your members to the beautiful WeWork space. Enjoy free refreshments like coffee, tea, and spa water and do what you do best. Hosting at WeWork is currently available to eligible groups near participating WeWork locations. If you are not yet eligible, we'll notify you when the program is available for your Meetup group. We're expanding to new spaces in new cities, and including more Meetup groups every month. What are organizers saying about hosting at WeWork? Check out our FAQ for answers. Once you've scheduled your Meetup and people have RSVP'd, you can download a spreadsheet of your attendees. Navigate to the event's page. Select Organizer tools and choose Manage RSVPs. Select tools and choose Download attendees. This will download your RSVP list to a spreadsheet document, where you can sort and print their names. Waitlists are automatically enabled for Meetup events that have a set attendee limit and do not have a mandatory event fee. If a Meetup with an attendee limit charges an offline event fee, a waitlist will be enabled. If spots open up, members are automatically RSVPed to the event in the order that they joined the waitlist. Members will receive a notification if they are moved from the waitlist to ‘attending’. If a member has RSVPed with guests, they will be skipped on the Waitlist until enough spots open up for both the member and their guests. In order to avoid complications caused by automatically charging members' credit cards when they are moved from a waitlist to ‘attending’, it is not possible to set up a waitlist for Meetups that are charging an event fee. If a spot opens up for an event with a mandatory fee, organizers can let members know that a spot has become available by using the Email Members tool. In order to enable a waitlist for a Meetup, you’ll need to set an RSVP limit. Create a new event or edit an existing event. Scroll down to the "Optional Settings" section. Using the "attendee limit" toggle, set your attendee limit. Save your event by clicking Publish. Tap on the upcoming event you’d like to set an RSVP limit for. Move the slider to red next to Limit number of attendees. Tap the attendee limit number and choose your desired number from the menu. Tap Save to confirm your update. Tap Edit Event to open Mobile Web. Follow the above Mobile Web instructions to set an attendee limit. I'm a Meetup organizer. Can I use WeWork spaces for my Meetups? Hosting at WeWork is currently available to eligible groups near participating WeWork locations. We're expanding to new spaces in new cities, and including more Meetup groups every month. Is it free to host a Meetup at a WeWork space? It's currently free to reserve and host a Meetup at WeWork for eligible organizers. Yes, really, it's free! We currently have no plans to start charging for hosting at WeWork. And if that changes, we will give organizers lots of advance notice. How often can organizers host Meetups at WeWork? That's up to the discretion of the team at each WeWork location. In many cases, organizers can host as often as weekly. Can organizers bring food and drinks to WeWork spaces? The short answer: Organizers are free to bring their own food and non-alcoholic drinks. WeWork's beer will not be available to Meetup attendees in most cases. See below for more information about alcohol. Do organizers have to be WeWork members to host a Meetup at WeWork? Is there a WeWork near me? Probably! Many WeWork locations are being made available for hosting Meetups. Check out the current WeWork locations available for Meetups here. And if you're curious, a full list of all WeWork locations worldwide can be found on the WeWork website. If there's no WeWork near you, we have suggestions for finding other venue options in The Organizer Guide..
How will Meetup organizers and attendees be able to access WeWork locations after regular business hours? Each WeWork location's Community team works with Meetup organizers to ensure they have access to the space. Organizers may need to bring someone who will be able to help manage attendees' entry into the space where the Meetup will happen. Will organizers have to register all of their Meetup attendees as guests in WeWork’s check in system? No. As long as attendees' Meetup profiles include their full name, their name will be automatically registered with WeWork's check in system. Is alcohol allowed at Meetups in WeWork spaces? WeWork can host Meetups where alcohol is served, as long as all alcohol is served by a licensed caterer. This means that Meetup organizers cannot bring their own alcohol into a WeWork location and serve it (or invite their guests to bring in their own alcohol to drink in our spaces), but they can hire a caterer to provide and serve alcohol with an appropriate license. If alcohol is sold at the event (or if there is an entry fee), alcohol must be served by licensed bartenders. A temporary liquor license/permit and event insurance must be obtained (a bartending company should be able to provide all of these). Please note, there are different requirements in different cities, states, and countries. Organizers should connect with their nearest WeWork location's Community Manager for more details on having alcohol at their Meetup. Where can I get answers to other questions? For any questions or feedback, please click here. Organizers and leadership teams have the ability to manage RSVPs before a Meetup, then adjust attendance after the Meetup if needed. Tip: If you're hosting a paid event, select the ... next to a member's name to choose Mark as paid. - Beside anyone who didn’t show up, select the ... icon. Once you’ve scheduled your Meetup, it’s time to get the word out. Your Meetup will show in your group calendar, but you can jumpstart attendance by announcing the Meetup to your members. 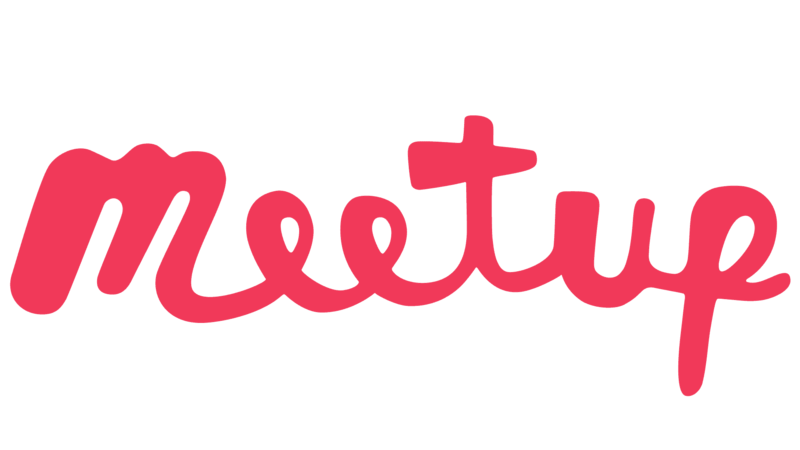 After you schedule your Meetup, you'll be prompted to announce it to your members. When you're ready, click Announce Meetup to announce it to your members. If you’ve scheduled your Meetup via the desktop or mobile site, you'll also see an Announce later option, which will remain available until seven days before the Meetup is scheduled to take place. Note: When you schedule your Meetup through the iOS or Android app, the announcement goes out to your members immediately. There is not currently an option to Announce later via the Meetup app. If you choose not to announce a Meetup immediately, it will still appear on your group’s calendar and homepage, and members will be able to RSVP to and comment on the Meetup as normal. If you don’t make your announcement prior to seven days out from the Meetup, the announcement option will disappear and we’ll send attendees their first reminder email. Six days before a Meetup, we’ll send a reminder email to members who have RSVPed 'Yes.’ We’ll also send a message to group members who haven’t RSVPed, encouraging them to do so. One day before a Meetup, we’ll send one last reminder to members who have RSVPed 'Yes.' As long as at least two members have RSVPed to the Meetup by this time, we’ll also send one more reminder to those members who have not. Note: It is not currently possible to cancel a series of recurring Meetups from the Android or iOS app. To cancel just one Meetup in an ongoing series, the steps are the same as canceling a standalone Meetup. You can find those steps here. These steps will leave those cancelled Meetups crossed out on your group calendar. To delete them completely, also check the box beside Delete completely from your list of Meetups. How do I cancel a recurring Meetup? Update just one event in the series. If you choose to edit just one event, it will detach from the series and become its own standalone event. You won’t be able to make any further changes to the series from that event, and any updates you make to the recurring series won’t affect that event. To edit a single event in a series, follow the steps listed in this article. From your group's homepage, Select events. Click on the next event in the series. Click on the Organizer tools drop-down menu, then Edit event. Select Edit this Meetup series, then click Edit. Confirm your updates by clicking Save changes. Tap on the Organizer tools drop-down menu, then Edit event. Select Edit this Meetup series and then select Edit. Confirm your updates by tapping Save Changes. Schedule an event to repeat every week, every two weeks, or every month in the “Optional settings” when you create a new event. Repeating events will all appear on your group’s calendar and the information on the events will be identical aside from their date. You can set an end date for the recurring series or choose for the events to repeat indefinitely. Repeating events can be scheduled on Meetup’s desktop and mobile website. From your Meetup group’s homepage, select Create event and then Create a new event. Toggle Repeat event under “Optional settings”. Select how often the event will repeat, which days of the week it will repeat on, and set an end date. You can choose to announce the first event in the series to members right away or do it later. Future events in the series are automatically shared with members 6 days and 1 day before each event. Even the best laid plans sometimes don’t pan out like you imagined they would. If you need to cancel a Meetup for any reason, the steps below will guide you through it. Venue closed due to unexpected weather? Need to move a Meetup from morning to afternoon? Want to clarify for your members that they can’t bring their pets along? Things happen (and all of these have). When plans change or new details arise, it’s important to keep your members informed. That’s why we’ve made it easy to edit your Meetup as much and as often as you need to. Find the Meetup you want to edit, and click the Organizer tools drop-down menu. Confirm your edits by clicking Publish. Under the "Organizer" section, tap the Meetup group. Under the "Meetups" section, choose the Meetup event you’d like to edit. Tap See all to view more events. Confirm your edits by tapping Publish. Under the "Meetups" section, choose the Meetup event you’d like to edit. Tap See all Meetups to view more events. Confirm your edits by tapping Save. If you’d like to make changes to a recurring series of Meetups, check out this article.